The obesity epidemic is a worldwide problem, heavily influenced by increased rates of poor dietary choices and sedentary lifestyles. More so, there is a stigma strongly associated with obese and overweight weight statuses, which can lead to significant physical and emotional distress to a person throughout a lifetime. Most research has been dedicated to understanding the underlying contributing factors to the obesity epidemic. It has mainly focused on diet and exercise and potential interventions to improve these lifestyle habits. However, a recent study has found that poor sleeping habits are linked to a higher body mass index (BMI), suggesting that timing of sleep and its duration may play a significant, yet often overlooked, role in contributing to poor lifestyle habits and increased weight status. Researchers from the University of California, Berkeley evaluated whether later bedtimes were associated with increased weight status from adolescence to adulthood. They expanded their analysis to investigate whether sleep duration, screen time, exercise frequency, and dietary habits, such as fast food consumption, had any significant role in mediating the relationship between sleep and weight. The study assessed the behaviors and health habits of 3,343 participants from the National Longitudinal Study of Adolescent Health. Participants included adolescents in grades seven through 12 (ages 12 to 18, generally speaking) and followed up with them several years later at ages 18 to 32. This is a unique study; there has never been a longitudinal study that has evaluated sleeping behaviors from adolescence to adulthood and its impact on weight status. Timing of circadian cycles is of critical importance as eveningness has previously been linked to obesity. Those having later bedtimes are also more likely to be consuming meals, specifically dinner, much later in the day and evening. Such habits have been linked to an increased intake of about 250 calories daily compared to those consuming dinner at an earlier hour. Later bedtimes have also been associated with poorer food choices, such as lower fruit and vegetable intake. Pushing eating and sleeping later into the evening has been found to interfere with glucose and insulin metabolism, thus leading to weight gain due to metabolic disturbances. One study found that having late bedtimes for at least five nights per week did not only prevent adequate sleep, but it also significantly resulted in weight gain in just one week. 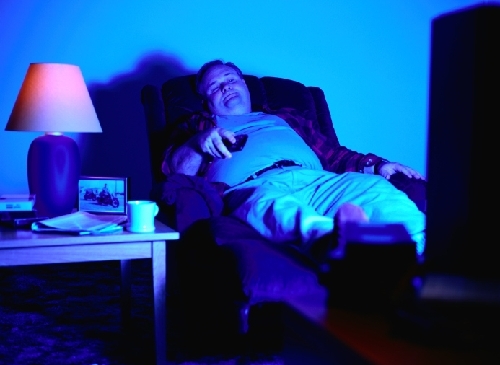 Later bedtimes are commonly associated with sedentary lifestyle factors such as watching more TV, sleeping throughout the day, and decreased physical activity. By having a later bedtime, a person is twice as likely to be obese. Findings from this unique study revealed that later bedtimes among participants were associated with increased BMIs. When evaluating potential mediators, sleep duration, exercise frequency, and screen time did not mediate any relationship between bedtimes and weight status. However, fast food consumption did attenuate the relationship between bedtime and increased BMI. There was no significant relationship between age and sleeping habits. While the tools used to evaluate participants’ habits were not a gold standard (most of the information collected was self-reported), this study does provide insight into which direction future research should be directed and other options for successful interventions. As noted, having a later bedtime was shown to be associated with a higher BMI, regardless of age. Therefore, it may be beneficial to introduce earlier bedtimes for teens to help manage weight and prevent poor habits and weight gain in their later years. Asarnow, L.D., et al., “Evidence for a possible link between bedtime and change in body mass index,” SLEEP 2015; 38(10): 1523–1527, http://www.journalsleep.org/ViewAbstract.aspx?pid=30188.